February 8, 2019 12:06 pm. 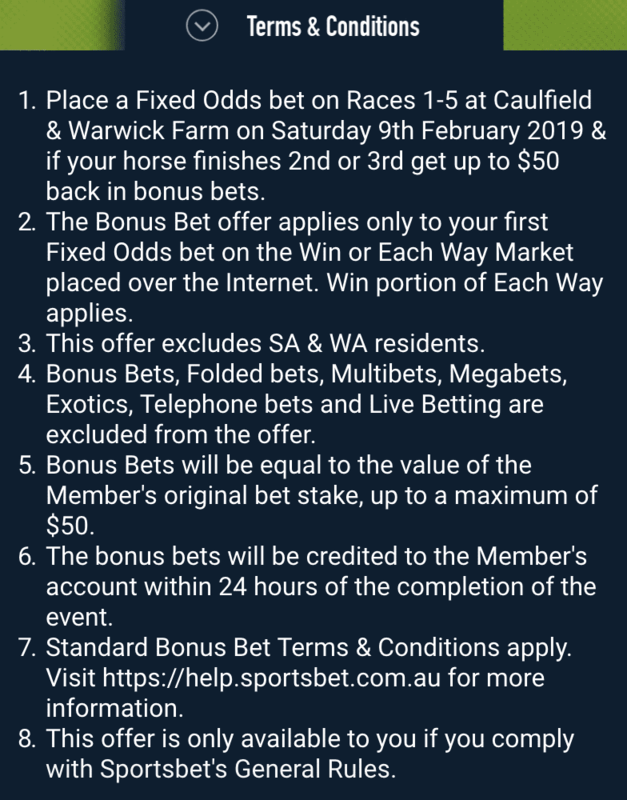 Make no mistake, Saturday is a day for punters to celebrate at Sportsbet.com.au, with bonus-bet specials in not one, but both the major racing meetings of the day. 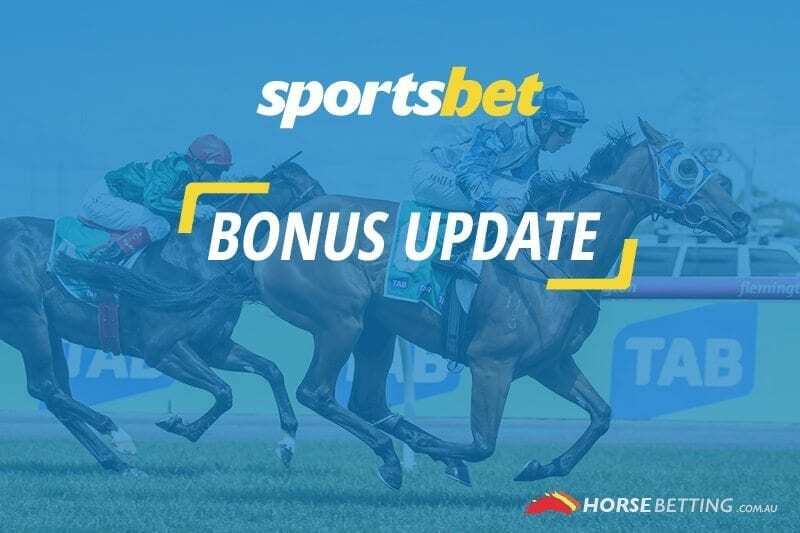 Sportsbet aims to get its members off to a strong start by focusing on the first five races of the day at both Caulfield and Warwick Farm. 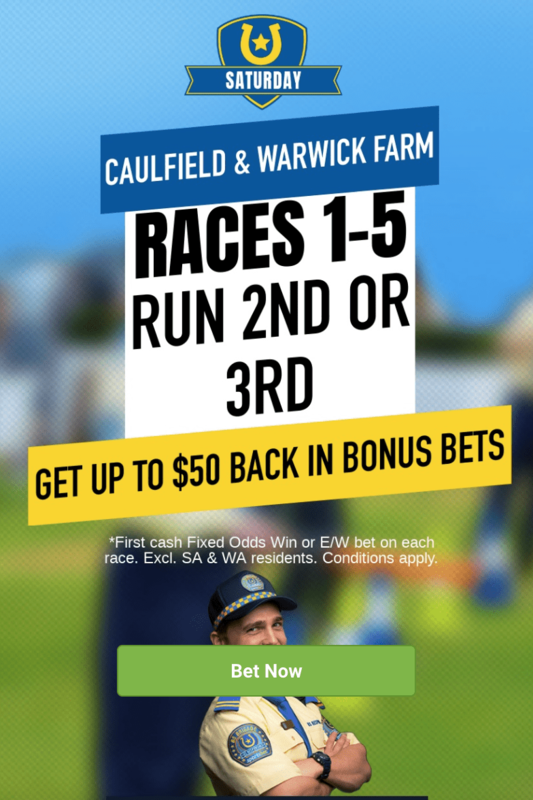 If a Sportsbet member backs a fixed-odds winner in the first five races at Caulfield and Warwick Farm in the first five races on Saturday and those runners finish second or third, they’ll get up to $50 back in bonus bets. The deal excludes residents in South Australia and Western Australia because of state laws. Read all of the terms and conditions below and gamble responsibly. The nine-race card at Caulfield kicks off at 12.35pm AEDT, while the first at Warwick Farm jumps 15 minutes later at 12.50pm AEDT.